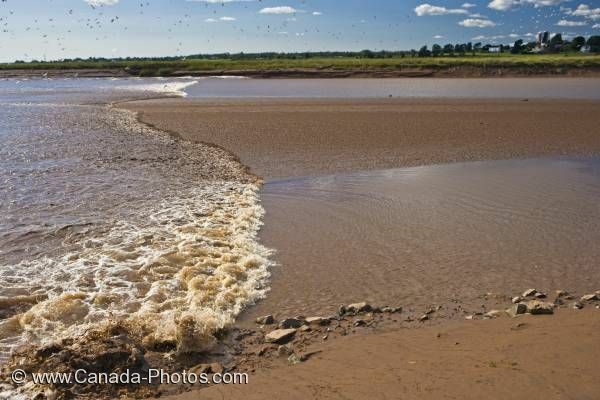 A tidal bore is a natural phenomena which takes place every day as the tide changes in the Bay of Fundy. The incoming tide from the Bay of Fundy surges into some of the rivers which spill into it. One such river is the Salmon River in Truro, Nova Scotia. Tidal Bore on the Salmon River in Truro, Tidal Bore Road, Fundy Shore Ecotour, Glooscap Trail, Cobequid Bay, Nova Scotia, Canada.